New Feature set conditional emails to send in the future. The System Email Pro extension adds in the ability to do both these things. 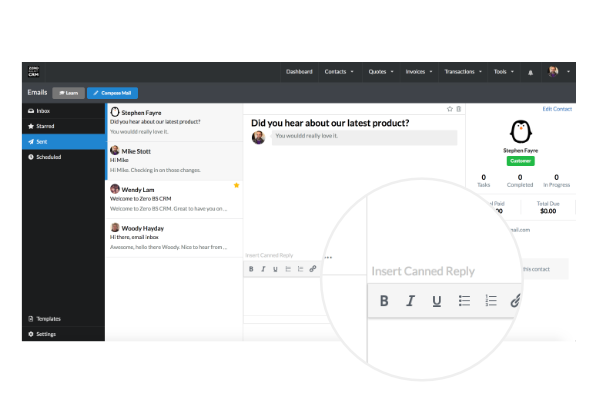 Adding canned replies to your CRM is now easy using the System Email Pro extension. Create and edit canned replies. Then adding them to a new email is super easy, simply click the “Insert Canned Reply” at the top of the editor to pop your pre-written email into the content. Sometimes you may want to create a single email follow up, which only gets sent if you contact has a specific status. So say you’re following up about a purchase, you can write it and schedule it to go out in a couple of week, but condition it to send only if they are still a lead. This is super powerful as it lets you craft your follow ups while they’re fresh in your mind, and nudge the contact in a few days time (if they become a different status before then, the email won’t get sent to them, otherwise they’ll get it when you scheduled it). 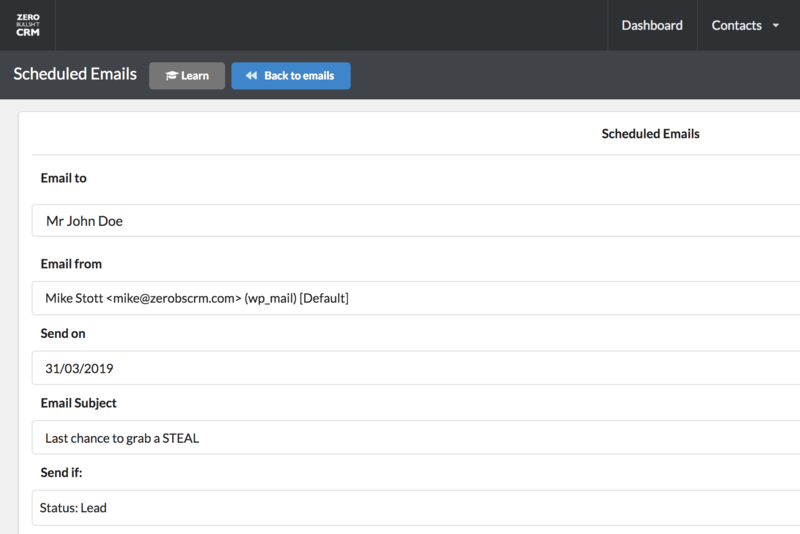 Once scheduled, your emails will go out in the future but only if your contact has the status you defined. This is useful if you want to send a follow up email in the future, but only if they’re still a lead (and not a customer, or other status). System Email Pro is included in the Entrepreneur's Bundle - join the other happy entrepreneur's, save $$$ per year and get instant access to every extension!